The dealer put it through the wash, and it came out with these streaky stains on the plastic by the side view mirror. Won't come off with water, what would anyone recommend? Do our cars have side mirrors heated? 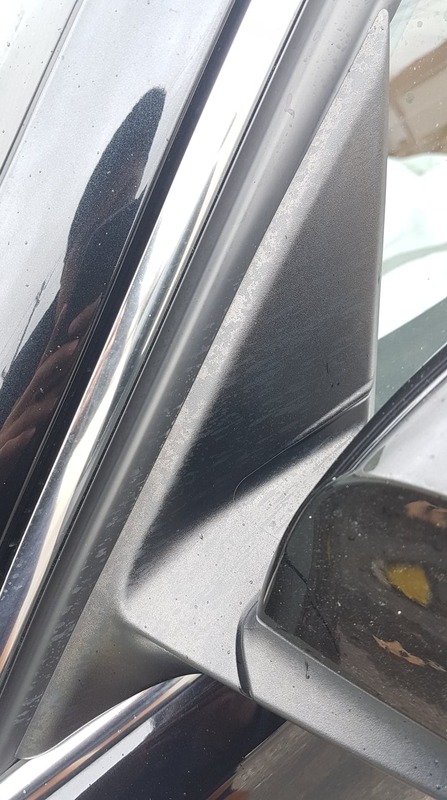 What are those black things on the side mirrors of the new M cars?